And what to buy instead. There are certain rites of passage that serve as unofficial markers of adulthood. For example, your idea of an investment purchase changes from an IKEA dresser to a statement rug from CB2. You check your emails at bars. Phrases like “Whole Foods is having a sale on organic yams!” slowly start to creep into your daily lexicon. You recently invested in a Dyson air purifier, and it was the most exciting day of the month. When all this starts to happen in your 20s, it’s time to start looking at small decor swaps you can make that’ll reflect your newfound sense of responsibility and maturity. We’re not saying this means an entire overhaul of your apartment is in order—you’re growing up, not winning the lottery—but there are little switches to make here and there to make sure your home is a place you’ll love to live in, even once you reach your 30s. Read on to see the decor items you should probably be getting rid of in your 20s and the items you can easily replace them with instead. We’ve all done it before: given dated or recycled pieces a new lease on life by repurposing them to double as mini storage vessels. And while this is a great way to make use of those beautifully-packaged candle containers after you’ve burned through them, it’s probably time to upgrade to a more mature alternative. Given the wide array of inspired lines of chic ceramics out there, it’s safe to say that your plants deserve more than the Mason jar they currently call home. Aside from inviting a curated detail to your shelves, these vessels will lend to a more cohesive and elevated finish. Textured accents are an integral component of a home’s decorative aesthetic—with area rugs coming in at the top of said list. A piece that falls on a highly affordable scale will tend to reflect in quality, consequently affecting the overall aesthetic of the space it embodies. Hence why it’s important to let go of that $20 runner you found at a flea market in lieu of a piece that will contribute a more significant detail to your existing decor. Invest in an area rug, which you can not only eventually pass down but, one that will invite a bold dose of character, color, and pattern to your home. Bring in an option that best matches your style—think Moroccan, geometric, patterned, the list goes on and on—and embrace a subtle color contrast for an element of interest. Okay, sure, you may have been overjoyed the moment you scored that dresser/coffee table/whatever (we can think of a wide range of items that can fit this bill) on Craigslist but it’s high time to let it go. The sentimentality behind said pieces can be very real but if it’s heavily clashing with the remainder of the furnishings and decorative items in a room, it’s probably wise to retire it altogether. Instead, utilize this opportunity as an excuse to splurge on an investment piece that will contribute an elevated note to your overall scheme. Think along the lines of an oversized art print, a custom or built-in shelving unit, or a coffee table that has the power to completely transform your living room. Whether in the form of a bin, drawer set, or cart, we loved them for their price and convenience as a storage solution in college, but these cheap-looking contraptions need to go. Not only does having your clothes or belongings peeking through the containers make it harder to adhere to a cohesive decor scheme or color palette, but the affordable price tag that drew you to the bins in the first place usually means they don’t have a particularly long lifespan. Instead, opt for something that’ll look more put-together and that you know will last. Woven baskets are a great catch-all for smaller items and can be stored neatly under tables or in corners, and we can all agree that a sturdy dresser is a much better investment in the long run. A $20 desk lamp with a plastic shade? String lights taped to your walls to help hold up your polaroids? Toss ’em. In lieu of string or lantern lights, which may have been the move in your dorm room but now feel like a Tumblr cliche, make a statement with a fun neon sign. Urban Outfitters has a great selection of LED lights that are playful, but still cool, and if you want to go all out, invest in a custom fixture from Brite Lite. If bold colors or neon lights don’t quite fit with your decorative vibe, opt for a more functional light that you can place on your desk or side table. Not only will it stand the test of time, but if you choose correctly, it will also add interest to your space. Additionally, bring in a statement-worthy pendant to add interest to an entryway or one that will complement your dining table with a dynamic detail. We’re currently into these modern, architectural fixtures that can most definitely double as sculptural, art-focused accent pieces. Mimic the practicality of a futon with its upper-class cousin, the daybed. While futons can often look cheap and stick out like a sore thumb when mixed in with your living room decor, a daybed is a much more versatile and style-focused alternative. It’s literally a chic couch that’s also a bed, which means they are also a godsend for tiny apartments that don’t come with the luxury of a guest bedroom. This rattan Anthropologie option is the perfect bohemian complement to any small space plus, it makes for a great excuse to usher in summer’s trendiest material into your space. For those looking to skew towards the minimalist side of things, try this CB2 cream-colored option that is simple, yet elegant and riddled with contemporary charm. And this natural wooden framed daybed from Urban Outfitters means budget-shoppers won’t have to sacrifice style for price, which is always a plus in our books. Clothing hangers are the hair ties of the organizational world: You always need them, yet they somehow keep disappearing. Wire hangers leave unsightly creases in your clothes and seem to always be bent out of shape. Swap your mismatched collection out for something a little more upscale, and you’ll be more likely to keep track of them. Try something sturdier, like wooden hangers, or something non-slip, like textured hangers. Your closet will look more uniform, and your future self—who’s frantically trying to find an un-creased shirt at 6 AM—will thank you. Instead, try framing smaller mementos to form your very own gallery wall. Once you have a few pieces in your possession, gallery walls are actually fairly easy to map out; though, if you’re struggling, there’s a free app you can download to help you through the process. And yes, you can even have a gallery wall in a tiny space. No excuses! The frat house look doesn’t actually look good anywhere—not even in a frat house. Ditch the collection of subpar vodka atop your fridge in favor for a more sophisticated bar cart. Choose from one of our favorite options under $200, or DIY your own for a custom feel (for a fraction of the price). Don’t have space for a full-on cart? You can easily fake a bar cart in a tiny space with any of these genius hacks, which include repurposing empty bookshelves or keeping a stocked tray on your credenza. If the appeal in keeping old bottles around lies in their use as cheap vases, there are so many chic options out there that are seriously affordable and that you’ll love for far longer than that empty $4 bottle of red you’re currently using to house your sunflowers. These colorful Anthropologie vases range from $16 to $32, this little glass vase from H&M retails for $8.99 and looks uber stylish, and just $4.99 at Ikea will get you not one, but three tiny bud vases. It’s perfectly okay if you don’t achieve peak Ina Garten in your 20s. With new jobs, longer hours, and more responsibilities, your priorities may lie beyond making a home cooked dinner every night. (Don’t worry, you’re in good company. Millennials are apparently spending less time than ever shopping at supermarkets.) Which is totally fine, but nights of takeaway and microwaveable meals often mean that your dinnerware collection is more so a bevy of Tupperware, plastic cups, and the odd Ikea plate. One purchase that will really make a difference in the cohesiveness of your kitchen design? 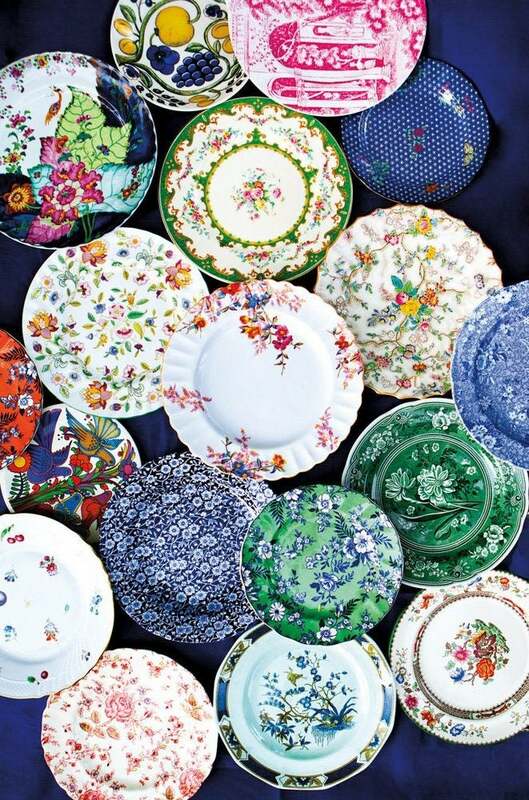 A real dinnerware collection. The easiest way to elevate your tabletop is by swapping out plastic or melamine options for more sophisticated-looking ceramics. From an affordable, minimalist CB2 set to the slightly pricier (but oh so gorgeous) new Jenni Kayne collection and colorful Anthropologie pieces that’ll make your cabinets pop, there are tons of great options on the market to choose from. This story was originally published in August 2018, it has been updated with new information.